Leading professional development for Challenge Based Learning has been quite of experience*. Like the CBL process itself, I have done some zigging and zagging along the way. Heading into the final quarter of the school year, I want to provide an opportunity for closure. 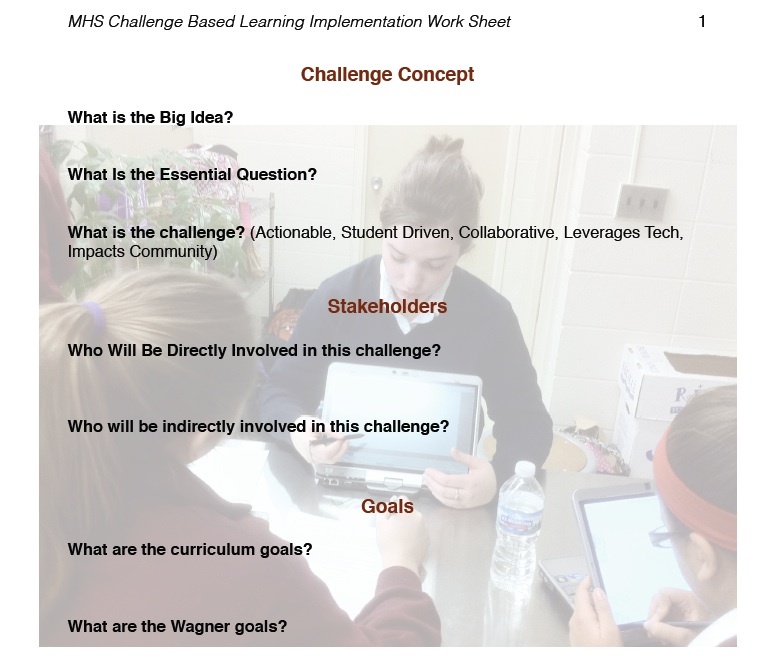 Consequently, I have prepared a "work sheet" for the staff teams who are developing challenges for the students. I hope none of my colleagues take this as an assignment. It is meant to provoke discussion within the teams so that they can trouble-shoot as many issues as possible before implementation. 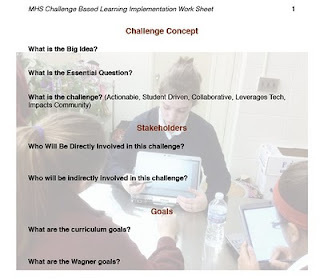 I'm sure I left important considerations out of the list, but I found myself deciding which areas of Challenge Based Learning really meant most to me. *I'll be presenting on my experiences Challenging the Challengers at ISTE on June 29.